Salt Meadow™ Lamb is exclusively available at D’Artagnan. The young lambs are raised humanely in a stress-free environment, without antibiotics or added hormones on a small farm in Canada. The exceptionally tender and mild lamb is rosy in color and exquisitely flavored. Its delicate texture comes from a unique diet that includes seaweed, based on a traditional method from the coastal regions of Normandy in France. This cut includes ribs and a slab of belly attached, which both braise beautifully. 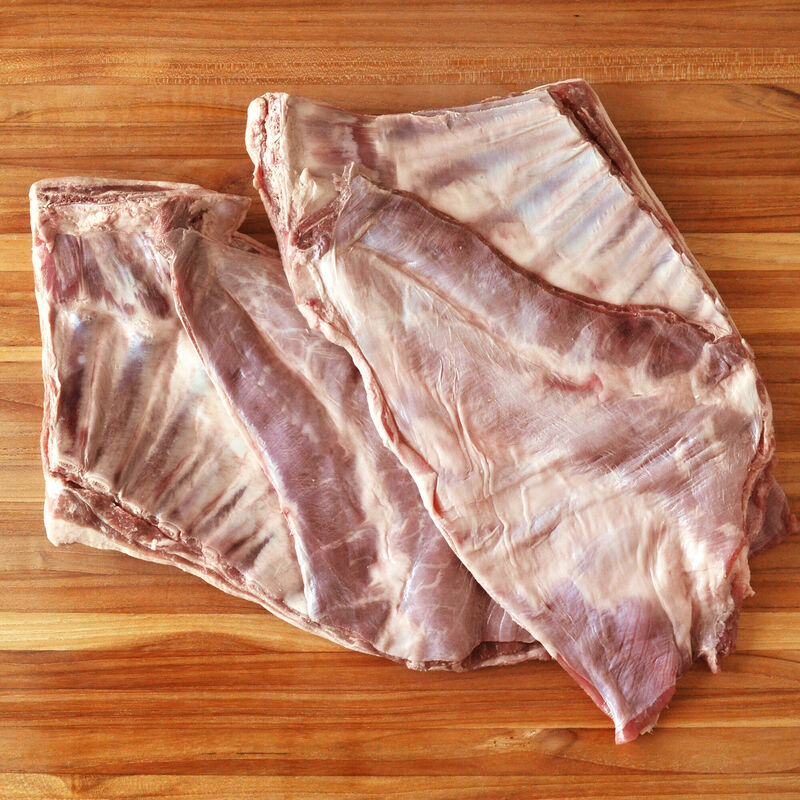 Cooking Tips: Salt Meadow lamb belly can be cooked as is, or deboned. Slow and low cooking methods are best with a quick blast of high heat at the end of cooking to crisp the exterior. While much thinner than their pork counterparts, lamb bellies can also be cured, smoked, and made into lamb bacon. Treat the ribs section like spare ribs, and either separate it from the tapered boneless end and prepare alone or braise them together. Either way, the layer of belly that remains attached to the ribs will add a meatiness and great mouthfeel.